Doges Palace or Palazzo Ducale is one of Venice’s main landmarks – best known for its ornate appearance, gothic architecture and its former role as the home of Venice’s Doge who was the Duke of the city. The original building has been rebuilt, repaired several times, added to and restored – but regardless, it maintains its dominance of Piazza San Marco and Venice with its beauty and history. The most important place to visit in Venice. The earliest facts about the Doges Palace Venice show that in 810 AD the Doge of the time, Angelo Partecipazio, moved the seat of the Doge and government from the island of Malamocco to present day Rialto in Venice. It was here that the Palazzo Ducale was to be built. However, as we hinted in the introduction, the building has been rebuilt, repaired, added to and restored. And the original building no longer exists. It is thought that the palace was originally a castle made up of a series of different but connected buildings. In the 12th Century, Doge Ziani reconstructed the palace that had been partially destroyed by a fire in the 10th Century. He reorganised St. Mark’s Square and then he built two buildings to act as his palace – one looked over the square and one looked over the lagoon. Sadly, not much detail remains of this period. In the late 13th Century there was a noted increase in the number of personnel involved in government and legislative work in Venice. As a result, the 14th century saw the beginning of an extension to the palace. The work began in 1340 and was overseen by Doge Gradenigo. And then in the early 15th Century, Doge Foscari undertook further extension work. Then in the late 15th Century, a fire destroyed the Doge’s apartments within the Doge’s Palace. So the architect Rizzo was commissioned and this was the beginning of the Renaissance styles that we can see today. Doges Palace as a Prison. One of the most sombre facts about the Doges Palace Venice is that a significant part of the ground floor of the palace was used as a prison. They were known as ‘the wells’ due to their damp and dark condition. 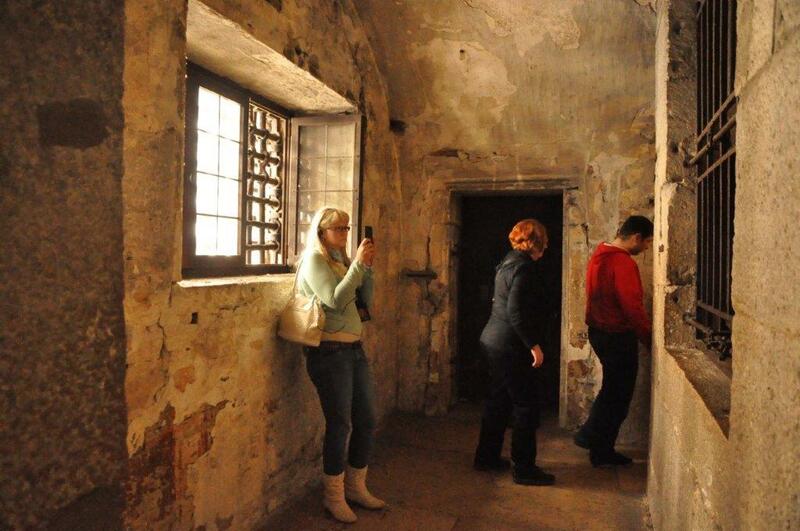 The most famous inmates of the prison include Casanova and the Italian writer Silvio Pellico. In the latter half of the 16th Century work began to relocate the prisons, located on the ground floor of the palace, to another space linked by the Bridge of Sighs. This meant that the ground floor could be refashioned. The Bridge of Sighs was so called after the sighs of prisoners who crossed there and took a last look at their freedom. Today, you can still cross the bridge, as the prisoners once did. The Doges Palace and the Council of Ten. 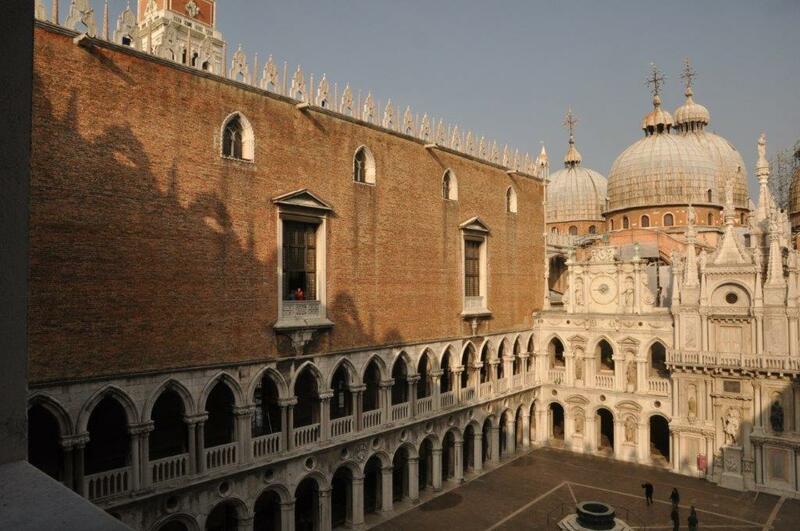 The Doges Palace Venice also hosted another infamous institution – the Council of Ten. The Council of Ten was one of the major governing bodies of Venice from the 14th Century to the 18th Century. It was originally to be a temporary group following Tiepolo’s revolt against the Doge in 1310. The council was tasked with maintaining the security of the republic and preserving the government. But by the 15th Century it had taken over so much more activity – including military, diplomatic, intelligence and legislative affairs. In the 16th Century the Council of Ten installed the State Inquisitors who could try and convict those who were accused of treason. To help with this they created a network of intelligence officers in Venice and abroad. Restoration of the Doges Palace. In 1866, Venice became part of a united Italy, after periods in the control of French and Austrian rule. In the late 19th Century, the Italian Government agreed the need to restore such an important structure. Many of the original works were removed and put on display in the museum where they could be protected, and replaced them with replicas. 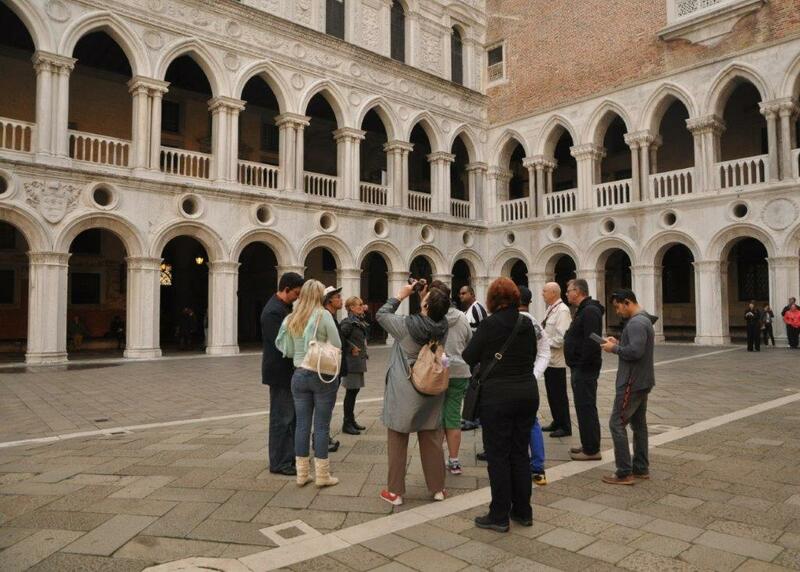 Our Small Group Doges Palace tour – one of our most popular tours of Venice For two hours we’ll take you on a guided ‘skip the line’ tour of the palace, its beautiful architecture, priceless artworks and the fascinating history of a city whose government building rose and fell with her. Our Essence and Doge’s Palace special offer tour – is one of the best value tours of Venice as it combines our essence of Venice tour with a tour of Doges Palace. With our ‘skip the line’ tickets you’ll tour the beautiful interior of the palace, learn about the striking external appearance and hear about its notorious history. Then we’ll whisk you off to St Mark’s Basilica before heading off to explore Hidden Venice. 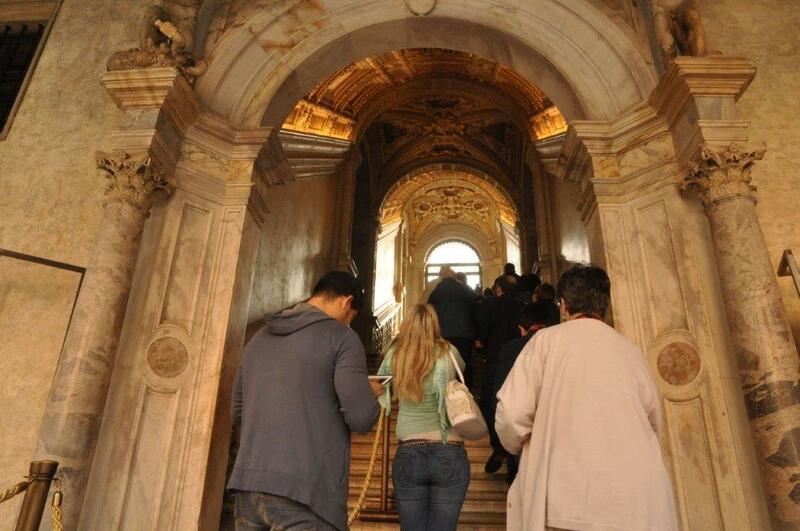 View all of our tour options of Venice here.